It’s nearly tax time. With appropriate planning, there’s no need to feel blindsided by it. 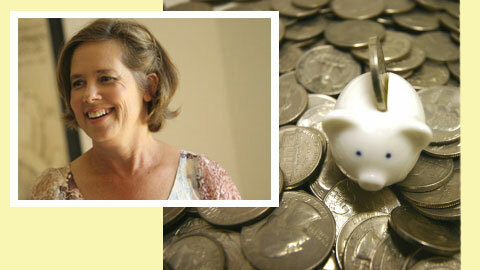 Karen Telleen-Lawton, principal with Decisive Path Fee-Only Financial Advisory, will provide guidance for 2012 and beyond when she speaks on the topic, From Anxious to Adept: Financial Planning Tips for Women, at our Wednesday, April 4 program, 5:30-7:30 pm at the Canary Hotel, 31 W. Carrillo St., downtown Santa Barbara. Decisive Path offers comprehensive planning, investment management and financial consulting services to help its clients understand their options, navigate challenges and make decisions appropriate to their specific circumstances. “The fee-only structure eliminates commissions and product promotion, and enables unbiased advice,” Telleen-Lawton said. A registered investment adviser in California, Telleen-Lawton passed the rigorous Certified Financial Planner (CFP®) exam in March 2011 and is working toward fulfilling other requirements as a candidate for certification. She committed herself to the financial planning industry during the 2008 recession with the intention of playing a more influential role in increasing people’s comfort with their finances. She earned a certificate in financial planning from Boston University in 2010 to help Baby Boomers find their way to retirement and young adults establish a firm foundation. She is particularly sensitive to the needs of individuals who face changes in their family, career and financial circumstances. Telleen-Lawton earned an engineering degree from Stanford University 35 years ago and has since spent most of her time in Santa Barbara. She has experience in manufacturing management, local government, inventing, professional writing. and as an adjunct economics professor. She is particularly interested in sustainability for the betterment of society and the natural environment. She has served on various governing boards, including four years on the Vestry for All Saints-by-the-Sea Episcopal Church and six years as chair of its investment committee. She enjoys outdoors activities, cooking and spending time with her husband David on the Channel Islands as a volunteer naturalist for Channel Island National Park and Marine Sanctuary. Tickets for the event may be purchased in advance until Monday, April 2 at 3 pm, $10 for students and members, $25 for guests. At the door, $20 for students and members, $35 for guests. Refreshments will be served. No host bar. AWC-SB Members are invited to bring business cards, flyers and other promotional materials to put out on the new Members’ Table. This is the first in a number of new local membership benefits we will be unrolling in the near future. PLEASE NOTE a Public Parking lot with 90 minutes free parking is located right behind the hotel, with entrances on Chapala and Canon Perdido streets. Hotel Parking is only validated if you order food from the restaurant, and valet service is $13. This entry was posted in Past Events on March 16, 2012 by awc sb.